Ruffles, buttons, and lace are the perfect ingredients for little girls' clothes; add some unfinished hems and plenty of room to run and play, and you have garments full of fanciful charm and practical playfulness. The twenty patterns in this book--from simple dresses with ruffled sleeves to blouses with crocheted lace and pants with sewn-on legwarmers--are of simple construction, yet full of the personality and details that little girls love. 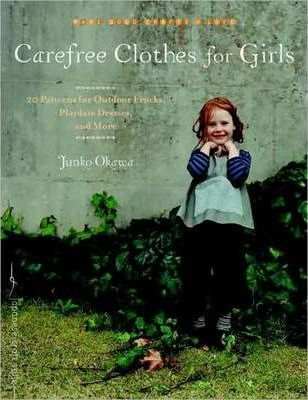 With beautiful photographs, clear step-by-step instruction, and detailed diagrams, this book offers a treasure trove of whimsical outfits for girls ages four to seven. Full-size patterns are included in four sizes so that you can make the perfect fit. Make the projects in this book and add a little bit of carefree style to your child's life. Junko Okawa is a hairstylist and clothing designer from Japan.